Bat rolling is a process that will improve a bat’s performance. 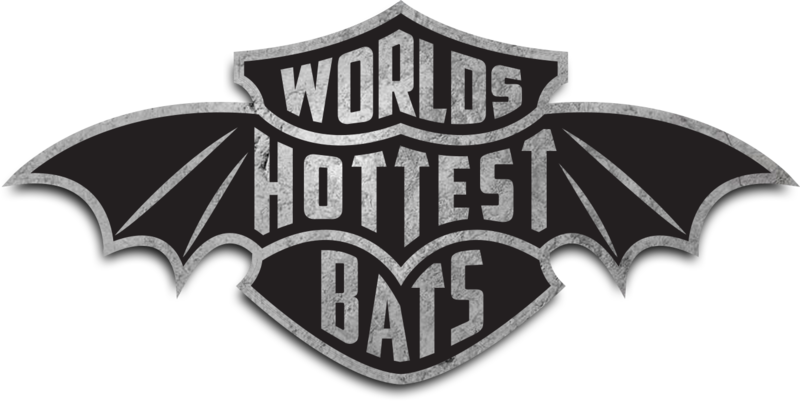 It allows you to get the most from a bat without having to wait for it to get broken in. Having a bat rolled is a great way to get it to reach it’s true potential whether new or used. You will notice that new bats will see a more dramatic improvement than a used one due to the fact that the fibers are so stiff and have more room for improvement. Many players still like to have their used bat rolled though as it will remove any doubts about whether their bat is performing at it’s best and increase their confidence. Bat rolling is best done with a machine that has two rollers that run perpendicular to the bat. Pressure is applied as the bat is rolled between the rollers. As the bat runs through this pressurized rolling system the fibers are stretched. This allows the bat to become more flexible and will similate the effect of hitting 500 or more balls with it but without all the wear and tear. Now that you know what bat rolling is you should understand how this affects the bat and your game. A rolled bat has no dead spots. This will allow the entire barrel to flex as one. When there are dead spots on the barrel there will be a restriction in the amount of flexing that can take place even when a ball is hit in an area that is broken in. The dead spots can have a negative effect on the entire barrel of the bat. You will get more pop, distance and speed on the ball when you hit it with a rolled bat. It also increases the size of the sweet spot, as well as making the sweet spot more consistent. Another benefit of rolling a bat is seen when it is rolled before it has been used to hit balls. Rolling is a more gradual and safer way to break in a bat than simply going out and hitting balls. When a bat is rolled correctly, it is initially rolled at a very light pressure to stretch out the bats clearcoat, paint and fibers. Then, the pressure is increased to accomplish a deeper break in of the fibers. This is in stark contrast to the shock the bat’s clearcoat, paint and fibers undergo when the bat is immediately subjected to going out and trying to break it in by hitting balls. Many players have found that their bats last longer when they are rolled prior to putting any hits on them to allow for this more gradual break in to occur. Rolling a bat works because it is a precise process. With a skilled and experienced bat roller doing the work, the bat is rolled at just the right pressure. The right bat rolling service will know the right way to roll a bat so you get it at its maximum potential. It is highly recommended that you choose the most experienced and trusted company to roll your bats. Because of how inexpensive it is to buy a bat rolling machine and start a business, it attracts many newcomers who have neither the experience or the attention to detail that it takes to roll bats effectively. Many players have chosen to buy their own bat rolling machines thinking they could save money by rolling their own bats only to find that they have cost themselves more money in broken bats than they could have ever saved by having a professional company work on their bats.